A two-year-old boy was wading in shallow water in Disney World in Florida when he was attacked by an alligator. Unfortunately he was killed. May the poor boy rest in peace. Disney World is belatedly putting up signs informing guests of alligators lurking in the water. 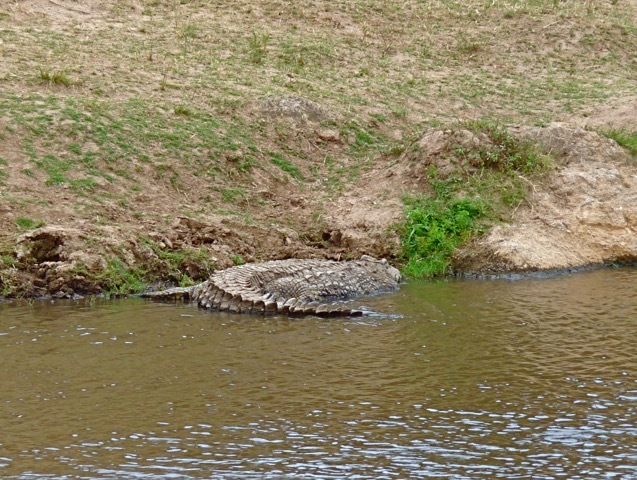 This reminds me of the crocodiles we saw in Kenya. 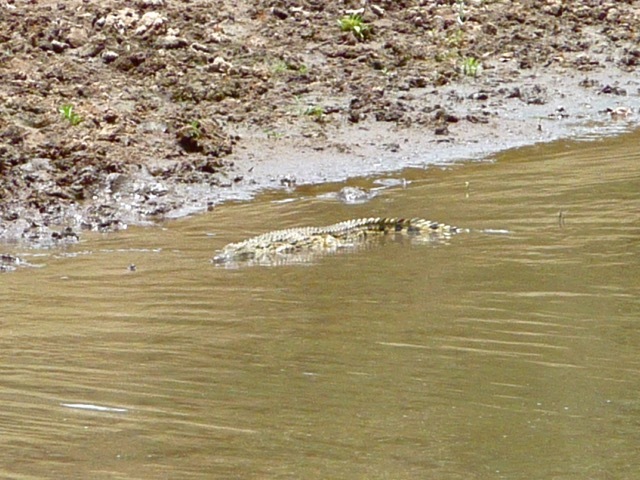 The deadly crocs wait in muddy water to ambush unwary animals. Once an animal is caught by a croc, it would have little chance of escaping the jaws. National Geographic tested the biting force of various animals and found the crocodiles to have by far the most powerful bites. 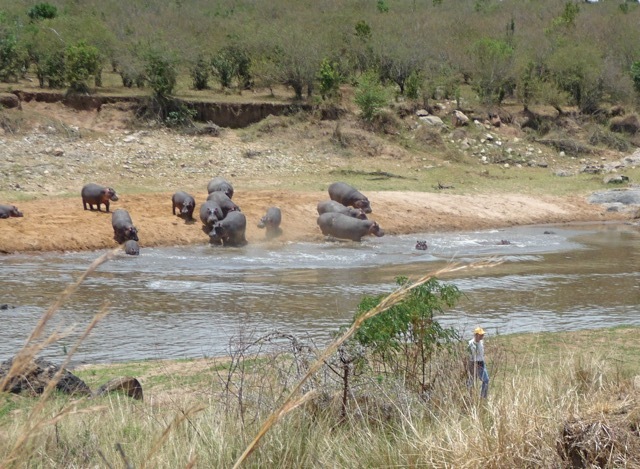 This was the Mara River where herds of zebras and wildebeests have to cross in their iconic mass migration. As those mammals swim across the river, crocodiles would grab and drown some of them. 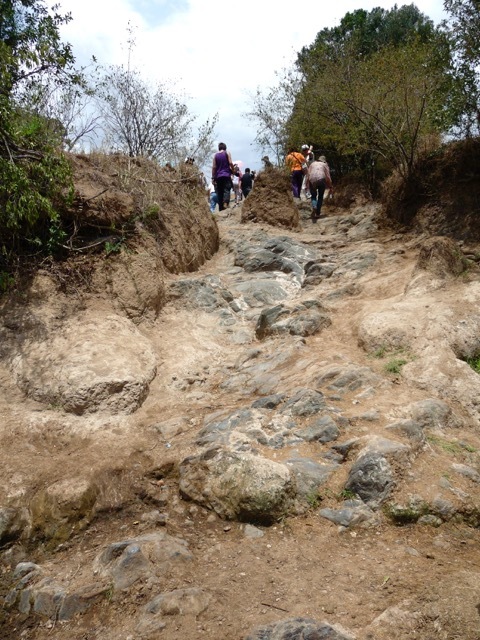 This was one of the ramps on the river bank. It had been worn bare by millions of scared animals clambering from the croc-infested river. 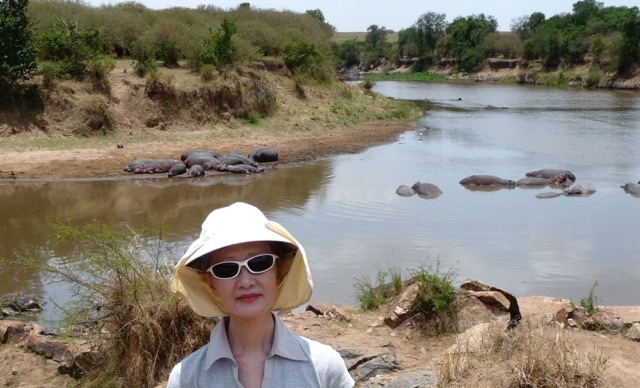 A tourist in our group ignored the guide’s warning to stay away from the hippos and approached the animals. The guide’s frantic yells convinced him that the agitated hippos could do him harm, and he finally retreated from the river. Hippos are dangerous and kill about 500 people each year. 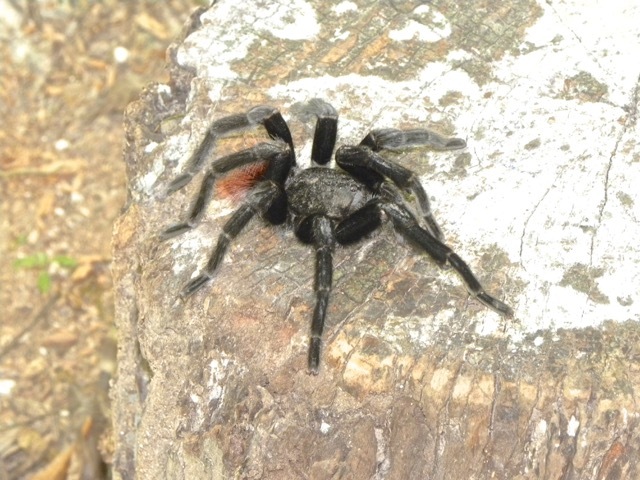 Speaking of dangerous animals, many people are scared of tarantulas. These big, hairy spiders are venomous but there is not record of any human being killed by its bites. 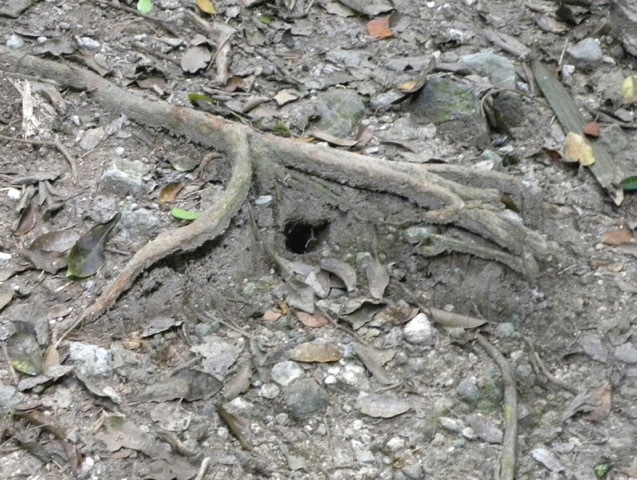 When we visited Guatemala, we saw this entrance hole to a tarantula nest on the forest floor. 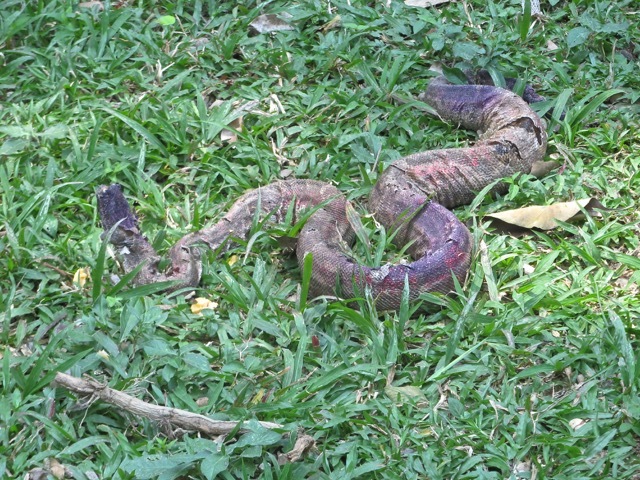 While in Guatemala, we also saw this large snake molting its dead skin on a grassy lawn. I wonder if this process is painful to the snake. 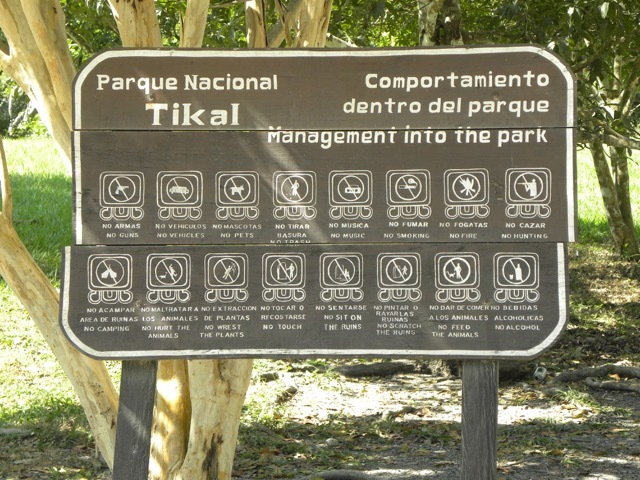 On the way into Tikal National Park, there was a sign with warnings to not hunt, not touch ruins, and not hurt the animals. 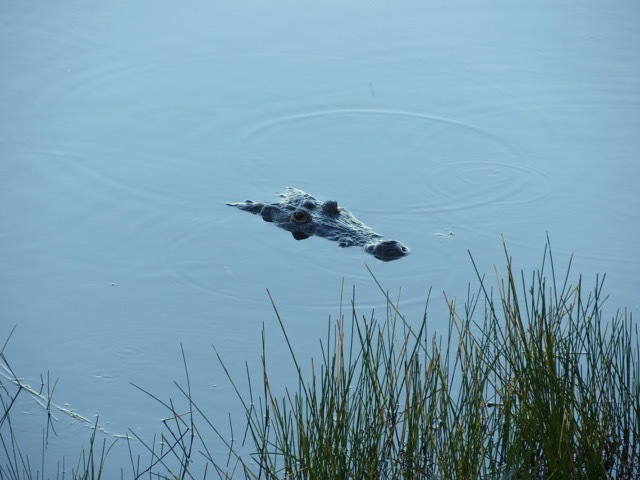 It did not warn us about the alligators lurking in the water. 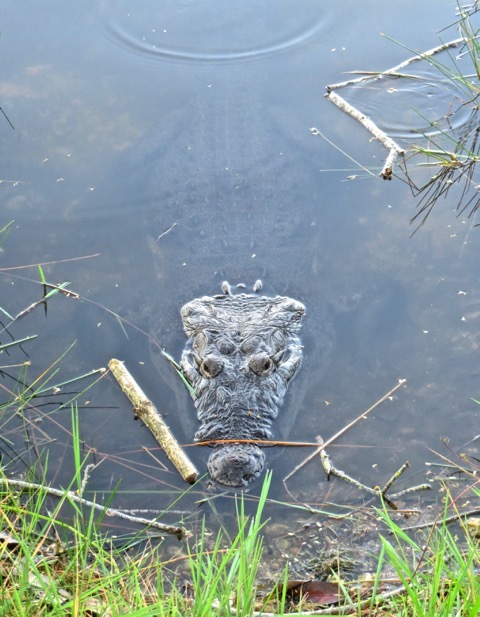 I wonder if the alligators had been warned by the authorities not to harm tourists. As we walked to the Maya relics, an alligator and its two turtle buddies were sunning themselves on the shore of a pond by the path. 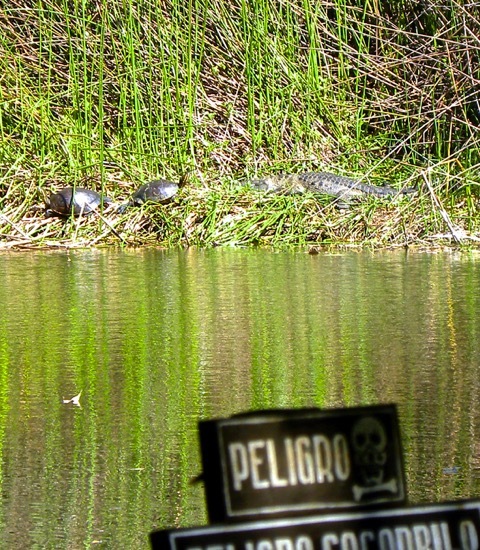 There was a sign with the Spanish word “peligro”. I surmised the word meant “danger” from the skull on the sign. The hotel we stayed in had an outdoor cafe by a pond. The hotel posted a sign confirming peligro does mean danger. An alligator floated in the water not far from the cafe shore. 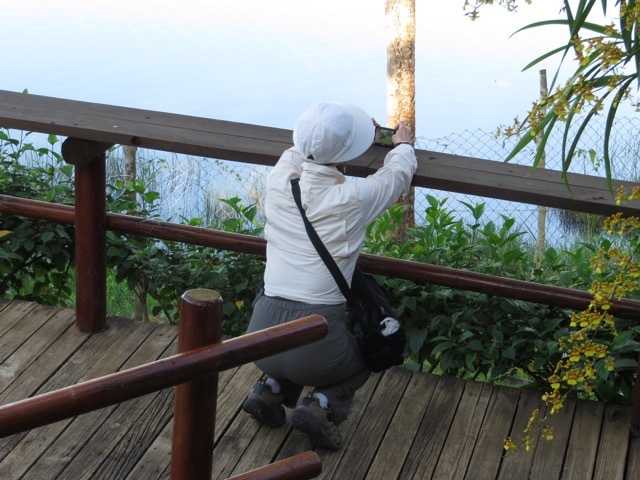 Sally intently took pictures of the alligator. The platform was higher than the ground, and there was a chainlink fence separating us from the water. 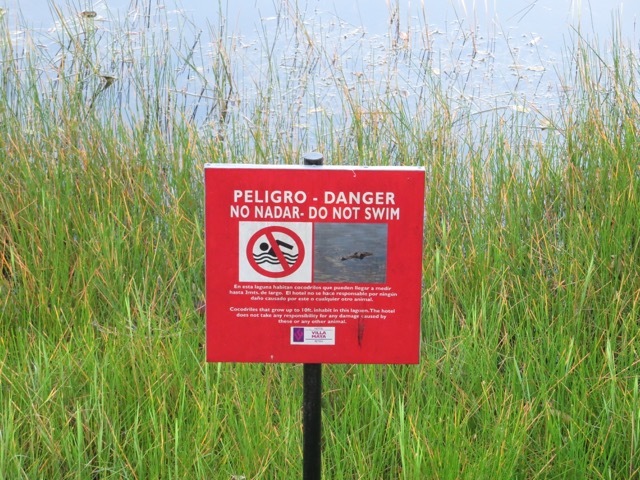 We were safe as long as we did not swim in the pond. The alligator patiently waited in the water. 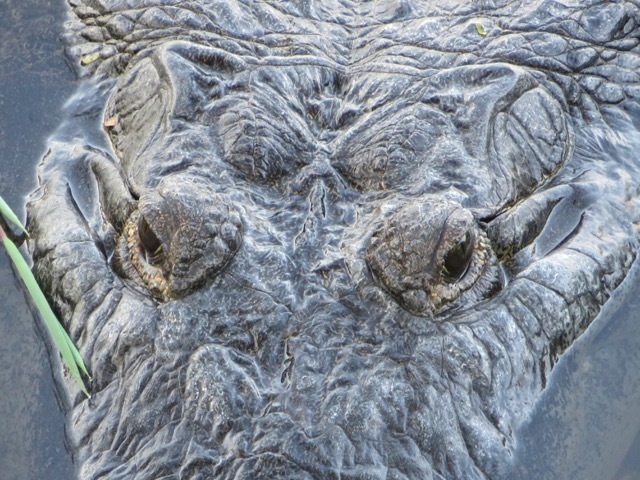 The alligator looked even more intimidating when viewed in detail. Apparently, the alligator was fed frequently and learned to stay close to the cafe to wait for food. In this video, someone threw it a bread roll. It bit and spitted it out a few times, apparently disappointed that some people did not respect its carnivorous nature. Posted by Robert Wu on Saturday, June 18, 2016, at 3:32 pm. Filed under Uncategorized. Follow any responses to this post with its comments RSS feed. You can post a comment or trackback from your blog.